With over 22 years in the web technologies business, our team has launched web sites both on large and small scale. From small business to large corporate projects, our team can tackle any of your web needs. 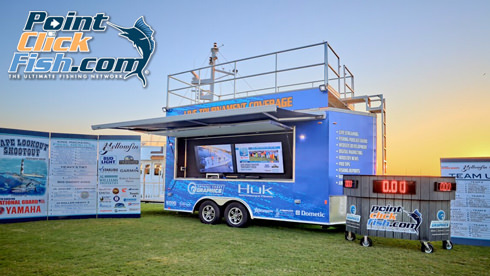 With our fishing background and knowledge our team specializes in fishing industry web sites that include Charters/Captains, Outdoor TV shows, fishing industry businesses, as well as tournament web sites. Please visit out portfolio page to view some of our recent work. Have a good web site but feel it is not getting the proper traffic or hitting sales projections? Is your marketing and social media lagging? The Point Click Fish Digital team can help you navigate through all your digital and social media needs. With the constant changes in technology, it is important to stay on top of the latest trends and updates. Contact us to help you come up with a custom solution that can maximize your own digital solutions. Have a new product you are about to launch? Wanting to get the word out about your big announcement or educate an audience? 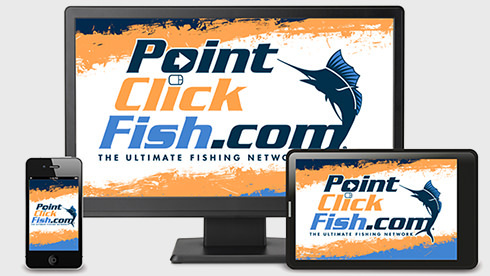 Point Click offers a variety of marketing solutions through the Point Click Fish network that can help bring brand awareness to our targeted audience. Point Click Fish offers an email marketing service that our team can work with you to build custom campaigns. Services include creating email campaigns, managing email campaigns, email database management, and analytics reviews and consultation. PointClickFish.com offers a variety of graphic design services that include photo editing, logo design, business and rack cards, and media kits. In addition, Point Click Fish offers social media and web graphics package for anyone who wants to enhance the look and feel of their pages. We can create custom banner ads for any ad campaigns.